Shop at Whole Foods Princeton and support WPRB.On Tuesday, September 22nd, Whole Foods Market Princeton (3495 US Route 1 South) will donate 5% of their daily sales to 103.3 fm WPRB. WPRB will receive 5% of what you buy today. Please join WPRB from 8:00 am ET to 10:00 pm ET. Stop by the WPRB table and meet our station staff and learn about what we've got in store for the 2009 Membership Drive. Support WPRB while shopping at Whole Foods Princeton. Thanks !! Click Below to find a Greek festival near you! 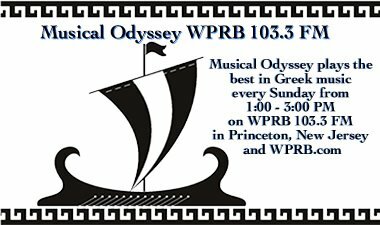 Musical Odyssey is a weekly Greek music show hosted by Bonnie and Alex. The show aires every Sunday on WPRB 103.3 FM from 1:00 - 3:00 PM EST. 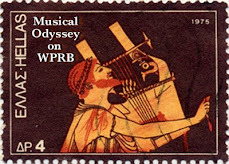 We play the full spectrum of Greek music from Ancient music to today's hits. WPRB 2008 Membership Drive: Thanks to everyone who donated during the 2008 Membership drive. To make secure online donation to WPRB anytime, click here. Thank you!